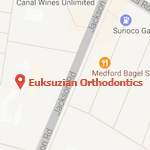 At Euksuzian Orthodontics, we’re proud to be a premier orthodontic practice providing high-quality orthodontic treatment to patients throughout Moorestown, Medford, and the surrounding areas. We use the latest in cutting-edge orthodontic technology to ensure that the quality of our treatment is always superlative. Braces are one of the most popular forms of orthodontic treatment we offer, but when it comes to the mechanics of braces, there’s more than meets the eye. 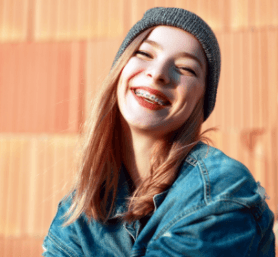 Read on for an overview of the different parts of braces and how they all work in concert to help you achieve the smile of your dreams. Bands: Bands are the anchors that braces use to do their work. Made from a ring of stainless metal, bands are wrapped around the back molars and cemented in place, providing a firm anchor point for the archwire which runs through the other brackets. We use special fluoridated dental cement to ensure that teeth stay healthy during treatment and avoid decalcification. Brackets: Brackets are the small metal studs cemented to the front of each tooth. The archwire fits into a groove in the bracket and is locked in place with an elastic tie. These elastic ties come in a wide selection of colors, so you can customize your braces’ appearance to match your favorite colors, upcoming holidays, or even your favorite sports team. The elastic ties allow the brackets to apply a finely-tuned force to the tooth and gradually move its position. Archwires: Archwires do the heavy lifting of orthodontic treatment. Running across the entire dental arch, they fit into the brackets and apply a precise, finely-calibrated force to the teeth. While the force is gentle, over time, it encourages the teeth to change positions, realigning them to a healthy smile. During orthodontic treatment with braces, it’s important to closely monitor your diet and avoid hard foods, which can bend the archwire and jeopardize your treatment. Tie Wires: Tie wires secure the archwire firmly into the slots on brackets, allowing for a firm connection that applies a constant force to the teeth. Elastic Ties: These are the tiny rubber O-rings that wrap around brackets, firmly locking the archwire in place. At Euksuzian Orthodontics, our elastic ties come in fun colors, including neon, rainbow, and even glow-in-the-dark! Elastics (Rubber Bands): While not used for every patient, elastics are specially-formulated rubber bands that are attached to brackets to apply pressure on the teeth in different ways. We’ll often use rubber bands when we need to make large-scale adjustments to the alignment of the jaws. Just like our elastic ties, we offer elastics in a huge variety of fun colors, so you can show off your favorite colors whenever you smile! All of these individual parts work together to apply a precise, finely-calibrated, constant force to each individual tooth, eventually moving it to a new position for a gorgeous new smile. 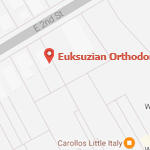 At Euksuzian Orthodontics, we are experts in orthodontic treatment with braces and a variety of other treatment options. If you’re interested in perfecting your smile or would like to schedule a consultation, schedule a free appointment with us using our easy online form or reach out to us at our contact page with any questions. We’ve helped countless patients in Medford, Moorestown, and the surrounding areas achieve a beautiful new smile, and whether you’re a busy adult professional or a teenager getting braces for the first time, we’d be thrilled to do the same for you!